Media in magazines. 71 pages or more. Every page, a food or drink. 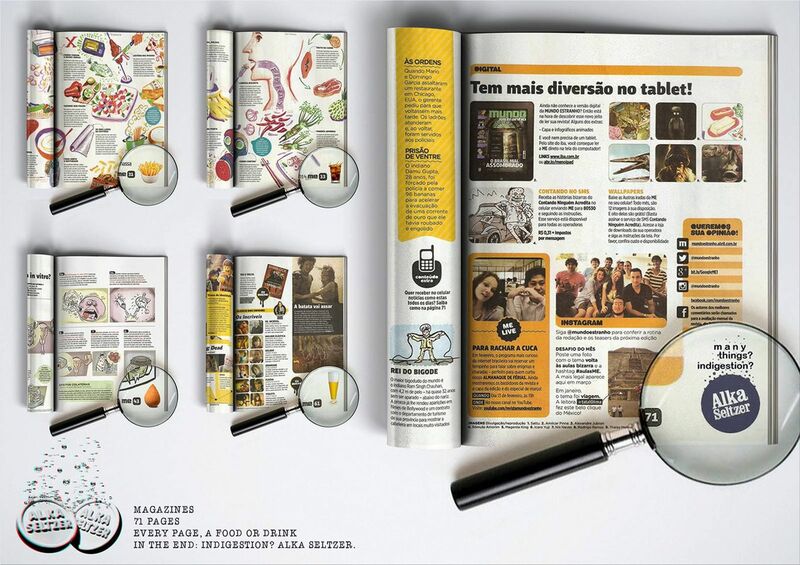 In the end of the magazine, Alka Seltzer logo, with the title: "Many things? Indigestion? Alka Seltzer"